The FDA’s Psychopharmacologic Drug Advisory Committee recently recommended Lucemyra (lofexidine), a drug developed to treat opioid withdrawal symptoms, for approval with an 11-1 vote. If approved, Lucemyra would be the first non-opioid drug available to treat the symptoms of opioid withdrawal. Lucemyra suppresses neurochemical activity that triggers the painful symptoms of opioid withdrawal. The drug has completed Phase 3 clinical trials, including two randomized, double-blind placebo-controlled trials which found that individuals treated with Lucemyra were more likely to complete a seven-day opioid discontinuation treatment, and that they experienced less severe withdrawal symptoms. The drug does appear to have some cardiac risks, which the dissenting voter felt could become an issue if the drug is not administered in the ideal conditions of a controlled clinical setting. Manufacturers originally hoped to push for a 3.2mg/day regimen, but the Committee made their recommendation for a 2.4mg/day regimen, with some flexibility allowed, to address the cardiac concerns. Lucemyra received Priority Review status in November of 2017, expediting the drug review process. The FDA will now consider the Committee’s recommendation as it decides whether or not to approve the drug. A decision is expected sometime in second quarter of 2018. 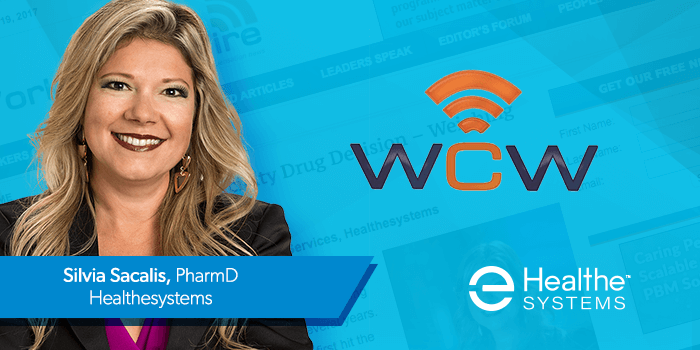 Healthesystems’ VP of Clinical Services, Silvia Sacalis, PharmD, BS, recently appeared in the Leaders Speak series featured in WorkCompWire, an online news service focused on workers’ comp. Her article discusses how pharmacy benefit managers (PBMs) help deliver value to multiple stakeholders within workers’ comp, including the employer, insurance carrier, healthcare providers, claims staff – and importantly, the patient. 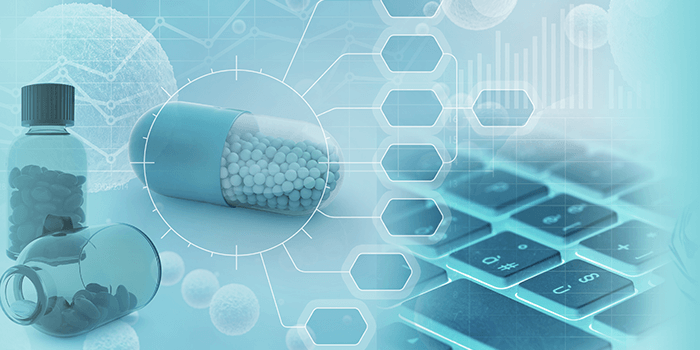 Examples of PBM value include supporting outcomes-based decisions over price-based decisions, providing AI-driven claims support, and facilitating the holistic utilization of patient data. 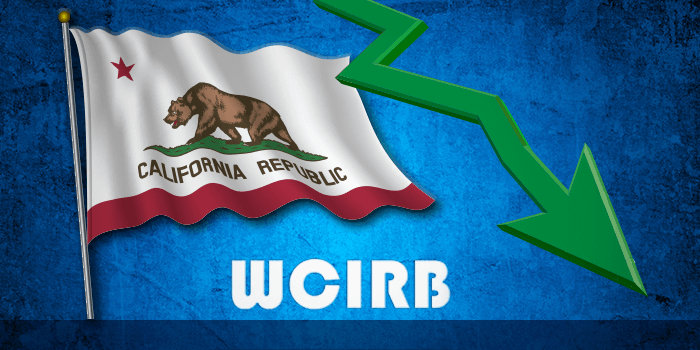 The Workers’ Compensation Insurance Rating Bureau (WCIRB) recently released the report Study of Chronic Opioid Use and Weaning in California Workers’ Compensation, which analyzes characteristics of injured workers who were chronic opioid users and weaned off opioids. The study focused on 1,030 chronic opioid users with dates of injury from 2013-2014. For the purposes of this study, chronic opioid users were classified as those who reached opioid dosing levels of 50 morphine milligram equivalents (MME) or more per day for a minimum of three months. On average, claims with chronic opioid use were nine times as expensive than the average of all claims, with higher volumes of service transactions and higher costs. Furthermore, 60% of chronic opioid claims involved permanent disability, compared to 11% of all claims, and over 80% of transactions associated with chronic opioid users had primary diagnoses of soft tissue injury. Of these claims, 47% of patients were successfully weaned off opioids completely, taking an average of eight months after achieving chronic opioid use status before ceasing opioid use entirely, with an average of 19 months between injury date and opioid cessation Those who did not wean completely off opioids still achieved a reduction in opioid dosage by an average of 52%. An interesting finding was that those who did not wean off opioids completely had on average 23 more days between their injury date and their first opioid prescription when compared to those who successfully weaned off opioids completely. Furthermore, those who did not wean off opioids completely had an extra 12 days between their first and second opioid prescription. No clear patterns of non-drug treatments (e.g., Physical Medicine) for weaning patients off opioids were evident, although the weaning process typically involved a gradual decrease in opioid prescribing combined with a mix of alternative non-drug treatments and non-opioid drugs. Additionally, those who successfully weaned off opioids were more likely to have suffered fractures, while those who did not completely wean off opioids were more likely to have unspecified injuries. The WCIRB believes these findings, and overall decreases in opioid use, to be tied to increased public awareness, the increased usage of the state’s prescription drug monitoring program (PDMP), and workers’ compensation reforms, which have led to fewer new claims for which opioids are prescribed. For more information, read the report in full online. Florida Governor Rick Scott recently signed Senate Bill 376 into law, officially recognizing post-traumatic stress disorder (PTSD) as an occupational disease compensable by workers’ compensation for first responders without the need for a physical injury. 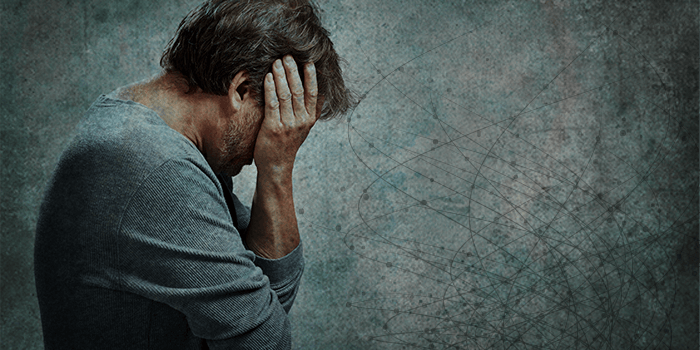 While several states require coverage for PTSD following a physical injury, many have argued that with the lack of a preceding physical injury, PTSD, a condition of mental anguish following psychological shock that often results in sleep disturbances, vivid flashbacks, anxiety, and depression, should not be covered by workers’ comp. However, as first responders and other professionals whose occupations regularly put them in the way of harm and other potentially traumatic scenarios speak out, legislators around the nation have begun to reconsider the matter. Last year saw several new PTSD laws passed. Nebraska and Texas enacted PTSD laws for first responders without physical injuries, and Colorado enacted broader coverage for PTSD not limited to first responders. Meanwhile, Massachusetts, New Jersey, New York, and Rhode Island have already been covering PTSD with no accompanying physical injury for a few years. And it appears that as 2018 continues, momentum for PTSD coverage without a physical injury will continue to increase. Arizona House Bill 2501, which would give first responders with PTSD workers’ compensation coverage, recently passed the House with a 57-2 vote and is being reviewed by a Senate subcommittee before potentially receiving a full Senate vote. Utah House Bill 209 passed the House with a 54-16 vote, aiming to establish a working group to study a first responder’s workers’ compensation claim due to mental stress. If the bill is signed into law, this taskforce, which consists of representatives from workers’ comp, first responders, and the Division of Risk Management, could potentially impact PTSD claims, depending on their findings. Connecticut Senator Cathy Osten announced plans to amend Senate Bill 278, a bill that aims to provide training and suicide prevention for police officers, in order to provide workers’ compensation benefits for police officers who suffer from post-traumatic stress disorder (PTSD) stemming from incidents on the job. Finally, an Oregon judge ruled in Sheila L. Minor v. Saif Corp. and Coos County that a 911 operator’s post-traumatic stress disorder (PTSD) from handling a violent call was considered an eligible occupational disease claim. As more states debate the issue of PTSD presumption and presumption of compensable conditions in general, it will be interesting to see if there will be an eventual trend towards covering this diagnosis and other occupational diseases for private employees who may be equally at risk outside of the public sector. Only time will reveal the long term economic cost of this recent trend. One thing is certain, our industry will be watching closely as the issue evolves. Two formulary bills were recently signed into law, representing the momentum that workers’ compensation drug formularies have gained in the last few years. Among other workers’ comp reforms, Kentucky House Bill 2 grants the Commissioner of the Department of Workers’ Claims the authority to develop or adopt a pharmaceutical formulary on or before December 31, 2018. Indiana Senate Bill 369 requires the implementation of an evidence-based drug formulary for workers’ compensation claims. The bill prohibits workers’ compensation and occupational disease compensation reimbursements for drugs specified as “not recommended” in the Official Disability Guidelines (ODG) Workers’ Compensation Drug Formulary. Pennsylvania Senate Bill 936 recently passed after a long journey to consensus in both chambers of the legislature, but political experts are uncertain if the Governor will actually sign it. 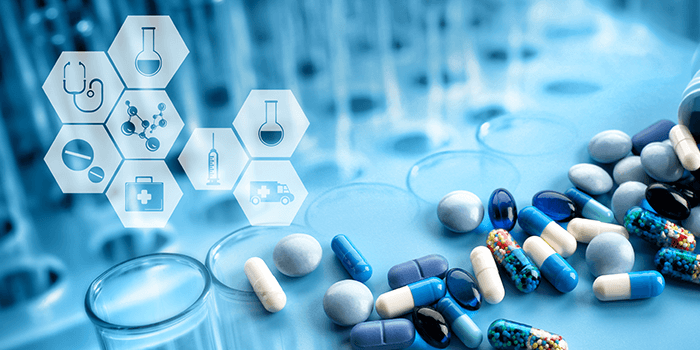 Beyond passing new laws, other states continue to move forward developing formulary rules as they get closer to implementing formularies mandated by legislation. Earlier this year, California finished implementing their new formulary, and Arkansas is due to implement their formulary by July 1st, while New York, having passed a formulary law last year, is still drafting rules. In 2017, Montana passed Senate Bill 312, which gave legislators the power to implement a formulary, but did not require it, is currently still in the discovery process, hoping to draft rules and implement a formulary by January 2019. While those rules are still in development, the Division of Workers’ Compensation recommended the use of the ODG formulary, and further updates are expected in the near future. The push for more statewide formularies is likely to continue spreading, especially as pending legislation continues to make the news. Massachusetts House Bill 4033 hopes to establish a formulary and is currently facing various amendments in House and Senate deliberations, preparing it for a potential vote. Robert Goldberg, MD, FACOEM, and Chief Medical Officer at Healthesystems, will present the educational session Can Workers’ Comp Catch Up to the Rest of Healthcare? at the Insurance Rehabilitation Synergy Group’s (IRSG) 2018 Annual Conference. 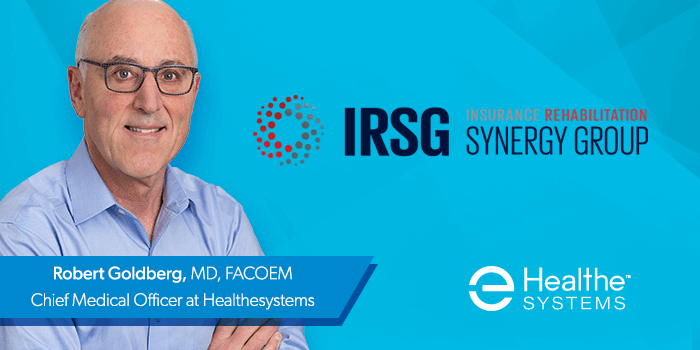 IRSG brings together insurance and rehabilitation organizations to identify and enhance the understanding of cutting edge treatments, life changing technology, and medical improvements for severely injured or disabled individuals. Dr. Goldberg will address areas of strength and opportunity in the workers’ compensation industry, specifically focusing on topics such as value-based reimbursement, data and advanced analytics, population health management, and technology as it relates to the advancement of care, such as artificial intelligence, telehealth, and cloud-based solutions. The conference takes places April 29th through May 2nd in San Francisco, California. Dr. Goldberg’s presentation will take place Wednesday, May 2nd, at 9:00 AM. For more information, visit IRSG online.